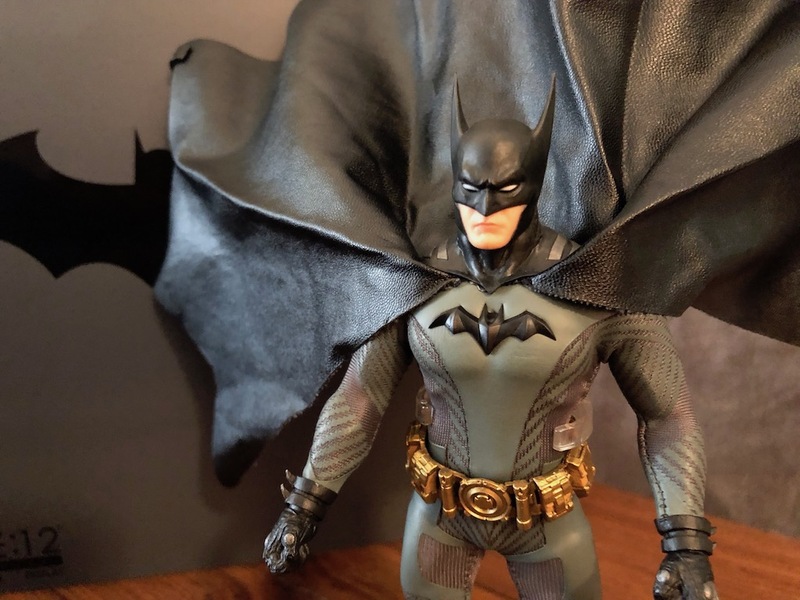 Unboxing/Review: Mezco One:12 Batman Ascending Knight – AiPT! No shipping, we unbox the Batman Ascending Knight Mezco One:12 action figure! Today we received the Mezco Toyz Batman Ascending Knight One:12 action figure. This toy was up for preorder way back in September, but it’s finally here and shipping out to fans. This figure retails for $80 but is currently on a waiting list at www.mezcotoyz.com. Customary of One:12 figures this toy comes with a cloth costume with an additional pleather cape. It also comes with plenty of accessories including multiple hands, a Bruce Wayne head, gadgets galore including a grappling hook with string! Customary for Mezco Toyz it comes with a stand with a bonus stand attachment of cape extensions so you can pose cape. Check out Lisa’s thoughts on the figure as she unboxes it below. As you can see we really dig this figure. The cloth costume has two different types of material giving it an armored look. The figure itself underneath the cloth is quite muscular and has plenty of points of articulation much like all of the One:12 figures. The cape is well made except for a frayed edge on one section. The accessories all come with highly detailed an articulated looks. Check out a full gallery of images below as well as our full score with pros and cons. We're really happy with this action figure. It's highly posable and has incredible detail. The Dark Knight should ascend into your home soon.